Did you happen to check out my ice cream party that I posted last week? 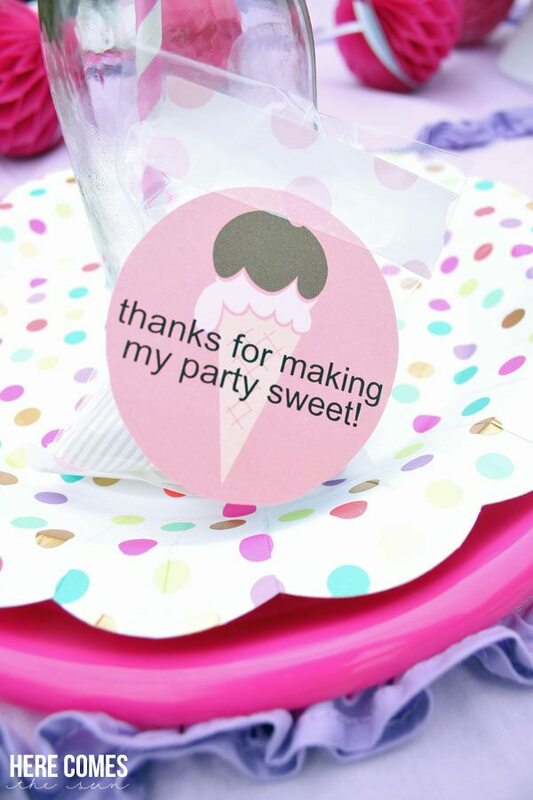 Did you notice the cute ice cream party favors? Want to know how to make them? Of COURSE you do. I was in the bathroom getting ready one morning and I happened to look down at my EOS lip balm. 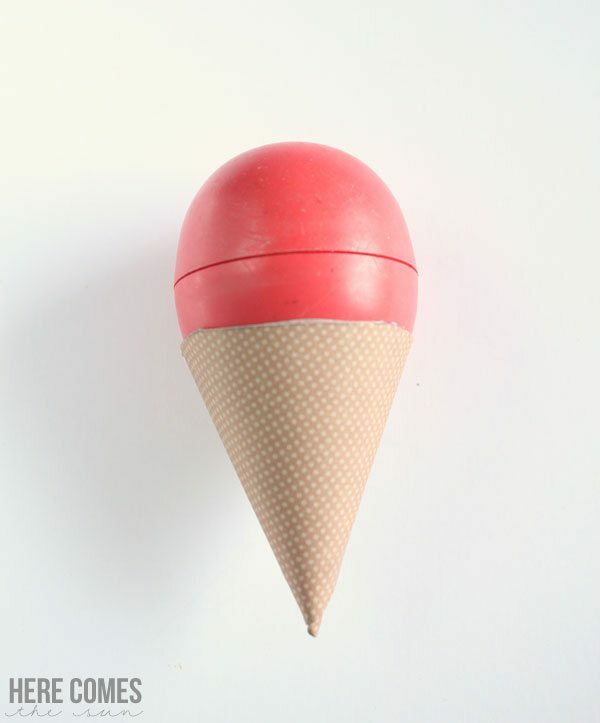 The ice cream party was in the works and the lip balms looked exactly like a scoop of ice cream to me. So I knew I wanted to use them to create party favors. 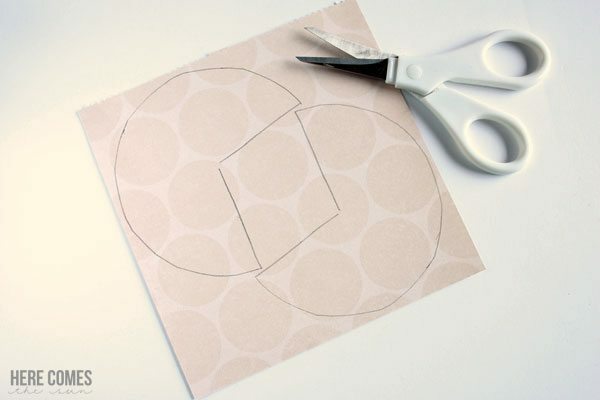 Trace a circle onto a piece of scrapbook paper. My scrapbook paper was 6 inches by 6 inches and the circle was 4 inches in diameter. Place a dot in the middle of the circle and draw two lines from that dot to the outside of the circle. Erase the outer edge to form a PacMan shape. 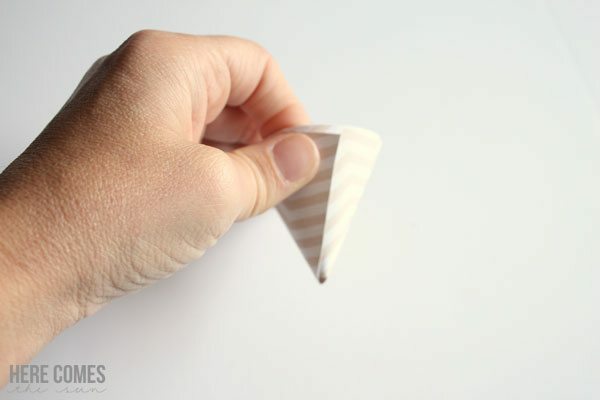 Bring the two sides of the circle together to form a cone. Test it out with the lip balm before you tape it to make sure the lip balm fits snug. And there you go…. 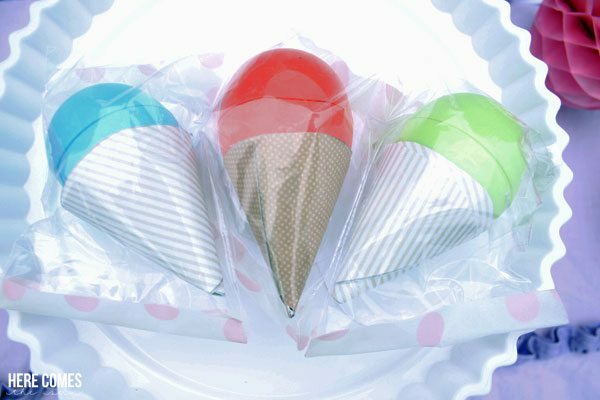 really easy and cute ice cream party favors. Wrap these up in a cellophane bag and attach one of my printable tags with some washi tape. Scroll down to download the tags. IF YOU NEED MORE PARTY DIY PROJECTS, CHECK OUT MY DIY TASSEL GARLAND AND MY TISSUE PAPER PARTY DECORATION.